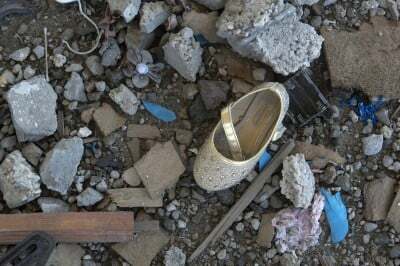 More than a year since the last Israeli attack on the besieged Gaza Strip: thousands of buildings turned to rubble and not a single home rebuilt. The last Israeli attack on Gaza left at least 2,000 Palestinians killed and 17,000 homes destroyed, rendering over 110,000 people homeless and turned much of the strip to rubble. In the aftermath of Israel’s blatant violations of International Humanitarian Law, the already existing humanitarian crisis in the besieged Gaza Strip has been further worsened. Not only did Israel manage to avoid accountability measures, but it has also benefited economically from the runis it has caused. The case study of Nesher, the sole Israeli cement producer, shows how Israeli construction market makes profit from the destrucion Israel has caused in the Gaza Strip. In September 2014, the UN trilateral agreement between the UN, Israel, and the PA provided a temporary normative framework for the reconstruction industry in Gaza. This agreement declared itself a means to ease the closure and human suffering in the Gaza Strip, while simultaneously providing Israel with security and monitoring measures over movement of aids, namely reconstruction goods and material. If reconstruction materials had entered the Gaza Strip last year, the World Bank estimated that the West Bank and Gaza Strip would have been an economic growth to their GDPs, more than 4% in the West Bank and 11% in Gaza. However, the UN sponsored agreement has both perpetuated the Israeli regime of control and restriction on the Gaza Strip and institutionalized a profitable Israeli industry of reconstruction. As Israeli authorities are the only dictator of which construction materials are permitted to enter the Gaza Strip, it resulted in Israel making increasing profit through ensuring that reconstruction materials and aid were sourced from Israel and benefitted the Israeli economy. Consequently, the Palestinian economy dropped into an even tighter Israeli grip. In fact, the gross estimate of the PA for reconstruction efforts in Gaza stood on 7.8 billion US$ in 2014. This includes $2.5 billion for the reconstruction of 17,000 homes and $250 million to rebuild Gaza’s sole power plant, also destroyed during the 2014 attack. Nesher Israel cement enterprises is a manufacturer and supplier of cement and clinker products for the construction industry. It also engages in manufacturing cement bags, quarrying and producing of white chalk and truck transportation. The company holds a monopoly over the Israeli and Palestinian cement markets. Since the company sells more than 85% of all cement in Israel, it is safe to assume that the separation wall, most if not all checkpoint, West Bank settlements, and Israeli infrastructure in the West Bank are built with Nesher’s cement. Products of the company were seen in construction sites in West Bank settlements of Alfei Menashe, Kedumim and Ma’ale Adumim and in the Har Homa settlement neighborhood in occupied East Jerusalem. Nesher cement bags were also documented during the construction of the Jerusalem light rail, a transportation project that connects the settlement neighborhoods of East Jerusalem with the city center. The West Bank and the Gaza strip constitute a captive market for Nesher’s cement and a source of large-scale revenues. Moreover, the company has actively tried to block Jordanian competitors from operating in the Palestinian market. It did so through claims over ‘dumping prices’ by Jordanian exporters and through company personnel in Allenby border crossing. “it can be very difficult to export materials to Gaza. A lot of goods for Gaza’s private sector reconstruction project we had, ended up being held in Ashdod port for very lengthy periods of time – months if not years – so there was de facto no alternative but to use Israeli sources”. In addition to Israel’s political and economic hold over Gaza, the international community has yet to deliver its promised 3.6 billion US$ for humanitarian aid and reconstruction in Gaza. According to recent numbers published by the UN on January 2016, only 20% of Gaza’s reconstruction funds have been received. Under the current regime of Israeli closure and restriction mechanisms, initiatives to relieve the humanitarian crisis remain challenged at best. According to Jadaliyya’s report (link is external), out of the 8,377 houses that Israel fully destroyed, not one has been rebuilt. Of the 23,597 houses that were partially destroyed, only approximately five percent have been rebuilt. At present, over 12,000 people are still displaced and are living in refugee shelters across the Gaza Strip.